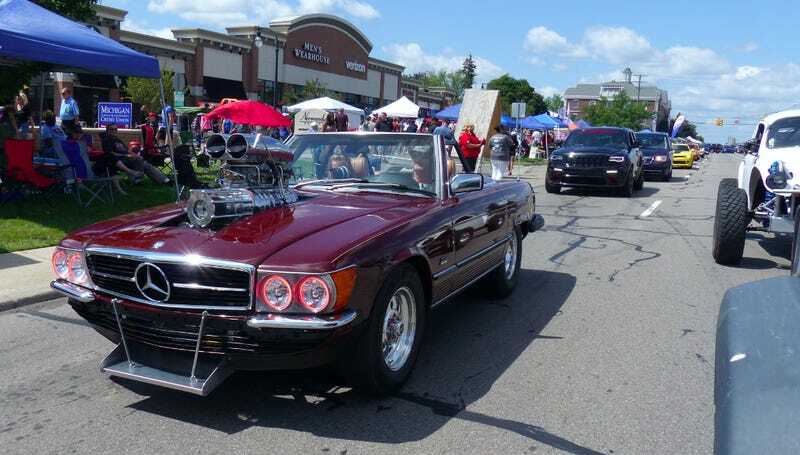 The Woodward Dream Cruise is a celebration of car culture in all of its forms. Because of this, the cars I saw on Saturday in metro Detroit spanned the entire automotive spectrum from gorgeous Italian exotics, to America donks, to classic muscle cars, to shoddily-built homebrew kit-cars. It was glorious. If I can help it, I will never miss a Dream Cruise for as long as I live. I will probably never be surrounded by such a huge variety of car enthusiasts as I am every year on that wonderful Saturday in mid August. If you’re into rustbuckets, come cruise Woodward. If you’re into kit cars, come cruise Woodward. If you’re into JDM goodness, come cruise Woodward. And of course, if you love American muscle, come do some burnouts on Woodward.